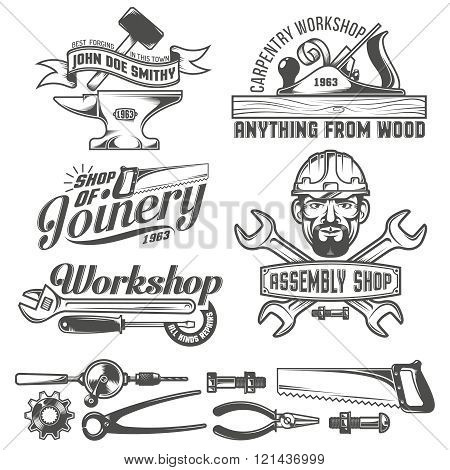 Logo with working tools. Emblems carpentry workshop forge assembly shop. Worker tools. Text on a separate layer - easy to replace.